Poor primary education did not stop Soji from starting his own non-profit enterprise and becoming a social innovator in Edtech. As a boy, Soji grew up in the rural settlement of Erekiti, Ondo State, Nigeria, where his parents were peasant farmers. School equipment was rudimentary and teachers were not in tune with modern teaching methods, so he struggled to keep pace. This led to poor performance during his primary school years, but in secondary school Soji became highly motivated to study computing and mathematics, partly because he had never seen a computer before and previously had no access to computing teachers. He resolved that one day he would try to solve this issue so that other children could have better access to improved learning methods and computer skills. As a result, he took courses in educational development and technology at Master’s degree level, using online resources to further develop his skill set. In 2012, Soji visited his nephew in Abule Egba, Lagos, only to find out that the same experience he had over 25 years ago – no computers, no resources – was still current. He made up his mind to do something immediately, and in 2013 quit his job as a data analyst to focus on providing pupils in rural primary and secondary schools with access to computer skills. In 2015, he decided to establish an education non-profit, Calculus EDUaids, to research and develop inclusive curriculum-based educational aids that bridge the learning gaps created by large class sizes. 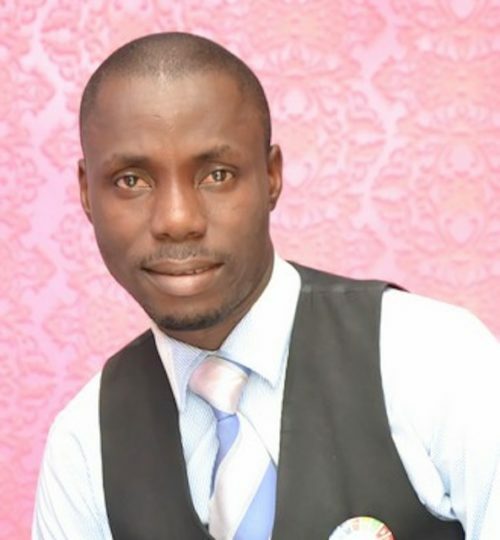 He is presently also Mathematics and Computer Science teacher at Jakande Comprehensive Senior College, a low-cost community school in Lagos. Using Soji’s method has improved the results of his students in Mathematics and Computer Science. In his class there are students who live alone in areas where drug abuse and sexual assault is common. Through his classroom practices and the introduction of curriculum-based learning aids, he has recorded and maintained a 20% improvement in academic performance in the past two years. Over 50 students from other schools who have attended his organised student leadership programme are now leaders in their respective institutions. In 2017, Soji was one of the local trainers selected for AFRICA CODE week to train over 500 teachers in Ondo State. He has also received the Lagos State Education District commendation, the Creative and Innovative Teacher award, and a commendation from the Vice-President of Nigeria. Soji Megbowon was the only Nigerian named among the top 40 finalists from the pool of 30,000 teachers from across the world, for the highly-coveted $1 million Global Teacher Prize for 2019. The Nigerian tutor, and founder of Calculus EDUaids, also runs a STEM — science technology engineering and mathematics — club to develop his students’ capacity for local and global opportunities. He added that he wants his students to become social innovators in their respective communities, as a result from the knowledge that comes with proper STEM education. “This year I started a STEM club in my school and currently scaling that across other public schools working with science teachers to identify students from low-income background but brilliant, develop their capacity for local and global opportunities through STEM education,” he told The Cable. Soji, who has revolutionized the Education space in the World with his innovative approach to learning has contributed to Education technology in Africa is an inspiration as he is our Youth of the Week!